Microsoft is now actively forcing Internet Explorer 6 out of the world. 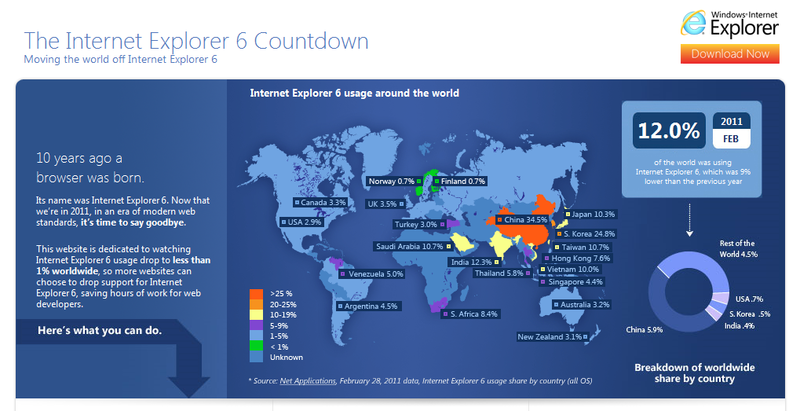 They have put together a site called IE6 Countdown, where they are showing what percentage of Internet users are on IE6. Microsoft is educating people by telling them why IE6 is dangerous, and why the newer versions are better. They are also encouraging you to educate your friends. If you have a website, you can paste in an HTML code to display a banner only to IE6 users that urges them to upgrade. 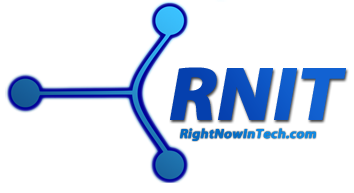 Right Now In Tech has joined in this program too. If you are still confused with this business and thinking Why in the world should I upgrade from IE6? or What's the harm in using it? here's some explanation for you. Internet Explorer 6 was included with Windows XP. If you have an older disc, you may still get IE6 pre-installed when you install the OS on a computer. If you don't upgrade, you are not only missing out on awesome new features, but also vulnerable to countless security threats. Microsoft no longer supports Internet Explorer 6. Technology has advanced a lot in the past ten years, and so have malicious software. Internet Explorer 6 is totally vulnerable to security threats. This means that people can (very) easily hijack your system and extract your passwords to online services, banks, credit card numbers and whatnot. Also, if you upgrade to a newer version of Internet Explorer you get not only new features like tabbed browsing, but also faster browsing speed and compatibility with the latest web standards like HTML5, CSS3 and all kinds of other stuff websites are starting to use day by day. Plus, it's as secure as it gets. So go ahead and download the latest version of Internet Explorer for free.